JBL Endurance RUN est évalué 3.9 de 5 de 30. Rated 5 de 5 de ENRY par Great Sound I just recently purchased these set of earmates and they sound and feel great. I had purchase other kinds (not so good) with the purpose of finding a product that can perform well while I run and these are perfect for me. They are comfortable, the sound is excellent and they stay put all my 6 miles run. One thing that I would like to mention is that I place the cord inside my shirt to keep the cord from hitting my chest that can be a distraction during the run however, these are good quality earmates. Rated 5 de 5 de Cleveland par Bass reproduction like no other There earbuds not only lock into my ears better than any other but they have the richness of mids and lows that JBL is known for. Great product at a great price. Rated 5 de 5 de SpencerK721 par Great Headphones I've had these headphones for about three weeks now. It's been so long since I've had a set of wired ear buds and I can say these are amazing. They sound great, loud, comfortable, and the magnetic feature is useful. 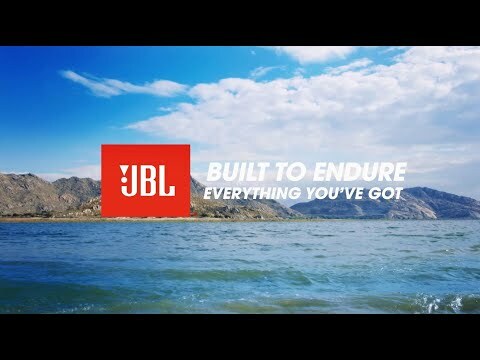 De kabel van de JBL Endurance Run is die zo dat die niet in de knoop komt bij normaal gebruik? Hi, In principe geven we niet aan met deze hoofdtelefoon dat de kabel niet in de war/knoop raakt ( tangle-free ). De kabel is daarentegen vrij stug, en zal met normaal gebruik niet in de knoop moeten raken, helaas kunnen we dit niet garanderen zoals met andere hoofdtelefoons waarbij we dit specifiek vermelden. Ik kan je alleen aanraden de hoofdtelefoon direct via onze webshop te bestellen en deze zelf uit te proberen. Je hebt dan 30 dagen retour-recht, dus als deze niet bevalt, dan neem je even contact op met onze klantenservice, en dan helpen we je met een retour.